The Strategic Advisory Board gives non-binding advice to the ERRA Presidium on strategic issues of the Association with special emphasis on performance, sustainability, new business ideas and organisational efficiency. The Board is supposed to enhance international relations and is in the position to promote ERRA on international fora. The Board consists of three members are invited by the Presidium and shall serve for a 2 year period. Alparslan Bayraktar serves as the Deputy Minister of Energy and Natural Resources. Prior to assuming this post, he was the Deputy Undersecretary of MENR following his service as the General Director of International Affairs and European Union. Between 2010-2016, Mr. Bayraktar served as a Commissioner of Energy Market Regulatory Authority of Turkey. Before his public service, he worked for the private sector in Turkey and abroad. Mr. Bayraktar also holds positions in various international organizations involved in issues relating to energy governance. He served as the Chairman of International Confederation of Energy Regulators (ICER) and Energy Regulators Regional Association (ERRA). Currently, he is the Chairman of World Energy Council Turkey. Mr. Bayraktar received his BS in Mechanical Engineering from Istanbul Technical University, LLM in Law and Economics from Bilkent University and MA in International Relations from Fletcher School of Law & Diplomacy at Tufts University. David Boyd, Vice President of Government and Regulatory Affairs, serves as MISO’s primary liaison with the governors and state regulatory and legislative policymakers in the MISO region. In addition, he monitors and integrates the activities of federal regulators and legislators into MISO’s overall policies. Dr. Boyd previously served as a member of the Minnesota Public Utilities Commission from 2007 until joining MISO in 2015, including three years served as chair. Dr. Boyd was a member of the National Association of Regulatory Utility Commissioners (NARUC) Board of Directors and Chair of the NARUC Committee on Electricity. He was also a member of the NARUC Committee on International Relations, Subcommittee on Clean Coal and Carbon Sequestration, Subcommittee on Nuclear Issues-Waste Disposal and member and Vice Chair of the Subcommittee on Education and Research. He also served as Chair of the Nuclear Waste Strategy Coalition. Dr. Boyd is the 2013 recipient of NARUC’s prestigious Terry Barnich Award for his contributions in building international regulatory relationships. Dr. Boyd served as Vice Chair of the International Confederation of Energy Regulators (ICER). 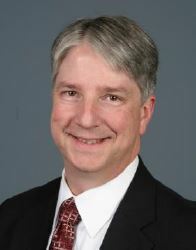 He also served as President of the Eastern Interconnection States’ Planning Council (EISPC), the Subcommittee Steering Committee (SSC) of the Eastern Interconnect Planning Collaborative (EIPC), and was a member of the Organization of Midcontinent ISO States (OMS) Board of Directors. He was a member of the Mid America Regulatory Conference (MARC) and served on their Executive Committee, and was appointed to the Electric Power Research Institute (EPRI) Advisory Council. He previously co-chaired the Upper Midwest Transmission Development Initiative (UMTDI). Prior to serving as a commissioner, Dr. Boyd was a member of the faculty of the University of St. Thomas chemistry department for 20 years. Dr. Boyd holds a B.A. degree with majors in biology and chemistry from St. Olaf College, and a Ph.D. degree in chemistry from the University of Minnesota.